Malcolm Goldstein, as composer/violinist, has been active in the presentation of new music and dance since the early 1960’s in New York City, as co-founder of the Tone Roads Ensemble and as participant in the Judson Dance Theater, the New York Festival of the Avant Garde and the Experimental Intermedia Foundation. 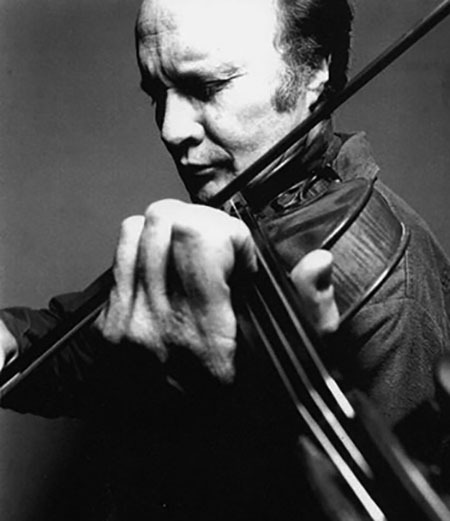 His “soundings” improvisations have received international acclaim for extending the range of tonal/sound-texture possibilities of the violin and revealing new dimensions of expressivity. His work has been presented internationally, and released on record labels such as Experimental Intermedia (XI), da capo, Wergo, Nonsequitur/ ¿What Next?, 0.0.Discs, Eremite, Folkways, and others. He has written extensively on improvisation and is the author of the book Sounding the Full Circle.